–writer Jon Henley interviews Barbara Young–Chief Executive of Diabetes UK, the country’s leading diabetes charity. It’s a sobering piece. The condition is now nearly four times as common as all forms of cancer combined. 2.8m people in the UK have been diagnosed with it. 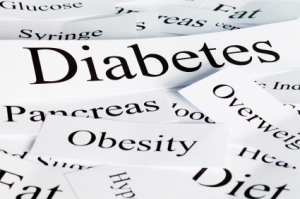 An estimated 850,000 more probably have type 2 diabetes but don’t yet know. By the year 2025, more than 5m people in this country will have diabetes. In north America, one in five men over 50 have the condition. For several years Clitheroe’s weight fluctuated wildly; 18st when he got married in 2003, back up to 23st by the time his son was born four years later. In November 2008 he went to the doctor with eye problems; a blood sugar test showed 14.7.Clitheroe joined WeightWatchers, stuck at it for a year, and wound up at 15st 2lb. “I’m in control now,” he says. He cycles 16 miles to work and back four days a week; Last year he did the Manchester 10km run, raising £700 for diabetes research.